From 1 January 2018 a premium levy on Hong Kong insurance policies will be payable to the Insurance Authority by policyholders in line with new regulations. The levy is a percentage of the premium payable, with a cap applied per policy per policy year. The Insurance Authority has provided further information on their website https://www.ia.org.hk and in their leaflet. As policyholders must pay the levy with each premium payment, the levy will be collected when premium is paid. Insurers will then remit (pay) the levy to the Insurance Authority. If policyholders fail to pay the levy, policyholders will commit an offence and be liable to a pecuniary penalty of up to HKD5,000. How will AXA collect the levy for my policy? Each time you pay a premium, by law you must now also pay the levy. Levy will also be taken into account for other transactions such as premium amendments, refunds and surrenders. The levy will be collected through existing payment arrangements. How do I find out the exact amount of premium levy on my policy? For new policies, your Financial Consultant will be able to tell you the amount of levy imposed on your policy, which will be included in your Proposal or you may contact our usual AXA Customer Service Hotline for further information. For existing policies, levy will be included on the Policy Anniversary Statement or Renewal Notice. You can also contact your Financial Consultant or usual AXA Customer Service Hotline to find out how much levy has been imposed on your policy, or can request a proof of levy once total payment (levy and premium) has been received. AXA will calculate the levy as prescribed by the Insurance Authority, and in general will communicate as a single amount – levy and premium together. When will I see my documents updated with levy information? Levy will start being collected for polices with a Policy Inception date (for new polices) or an Anniversary / Renewal date on or after 1 January 2018. 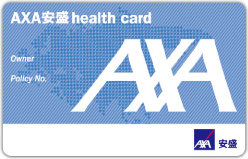 AXA’s new business, renewal and anniversary documents are generally issued ahead of Policy Inception date or Policy Anniversary / Renewal date to provide customers time to make informed decisions. Therefore you could start to receive documents updated with the levy amount and terms and conditions towards the end of 2017. In AXA we refer to a policy’s inception date as the ‘effective date’, ‘policy effective date’ or ‘policy date’. Will the levy impact my policy benefits or terms and conditions? The levy has no impact on the insurance benefits on your policy contract. How often do I need to pay the levy? AXA will calculate and apply the levy each time a premium is charged, including single payments, instalments or other ad hoc amendments to the premium. Can the levy be refunded? If premiums are refunded, then the proportional amount of levy will also be refunded via existing payment arrangements. If a policy is surrendered, terminated or lapsed, AXA will first deduct any outstanding levy before the customer pay-out. Where can I find out more about the levy? To find out how the levy applies to your policy and to request a proof of levy please contact your Financial Consultant or our usual AXA Customer Service Hotline.